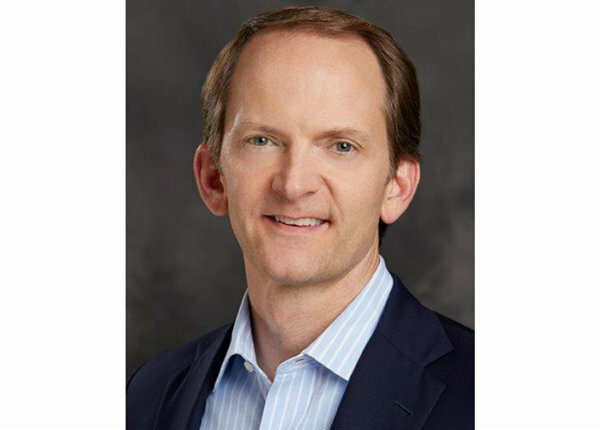 David Christopher, who runs AT&T’s wireless and entertainment businesses, has a bird’s eye view of how streaming media and video are evolving. AT&T recently completed its $85 billion purchase of Time Warner, a deal designed to help traditional media companies compete better with nimble tech services such as Netflix. Soon after the deal closed, AT&T launched WatchTV, a $15-a-month streaming service that offers more than 30 TV channels, including Time Warner channels TNT and TBS. Christopher: There’s no “one size fits all” anymore for video. Video is increasingly very personal and we think Watch TV is a great fit for many customers that want a smaller bundle of content. Christopher: There are lots of opportunities that we envision to drive innovation on behalf of consumers. You could have the ability to share a portion of a TV show that you thought was really funny or really impactful. You could have the ability to create a personalized news channel, or the ability to follow a particular athlete or star with personalized video coming right to your phone. Q: How are people’s viewing habits evolving? Christopher: There’s a dramatic shift toward digital and a dramatic shift toward mobile. The number of hours people are watching linear television is dropping. The number of hours on mobile and digital is rising. It’s particularly true among young audiences. It’s less about only watching on your big screen and much more about watching what’s specific to you on a more personal device. We think those trends will continue and will be augmented by other technology, like augmented reality, mixed reality, virtual reality. Much more mobile consumption, much more consumption of other ancillary devices. It’s why we are excited about the combination of our mobile network plus content. Christopher: It’s a great time to be a consumer in the U.S. Video demand is driving up consumption dramatically, and costs are declining rapidly. According to Recon Analytics, the cost per megabyte has fallen from $1.37 in 2007 to less than a third of a cent in 2017. In the next five years people are going to be consuming more premium content than today, not less. And it’s going to be happening more and more over mobile. When you step back and look at the advent of 4G, people couldn’t envision how ubiquitous Airbnb, Uber, Spotify and other things we live our lives by would become. That same thing is true for (the upcoming, faster) 5G, so it’s an exciting brand new world.